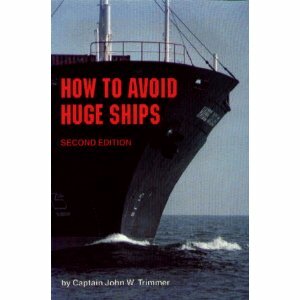 Have you seem the internet picture claiming to be of a real book called "How to Avoid Huge Ships" a?" A lot has been written both online and in mainstream newspapers and magazines about whether "How to Avoid Huge Ships" is indeed a real book! Most comentators take the view that it doesn't even exist, or at best its a joke title to a book that isn't really about how to avoid big ships. While "How to Avoid Huge Ships" is listed on Amazon.com it says it's currently out of stock, and most of the 101 reviews treat it as a joke. Well, we know it might be hard to believe, but, this is a real book! Published in 1992 by Cornwell Maritime Press and written by Capt. John W. Trimmer (ISBN: 9780870334337) "How to Avoid Huge Ships" contains 112 useful pages [Ed: surely "Keep a Watch Out" is all that is needed? ], it's a serious piece of work written for the small boat skipper, especially those taking their boats into areas where large ships pass through regularly. If you thought "How to Avoid Huge Ships" was an improbable name, you're not alone. In fact it has won the The Bookseller/Diagram Prize for Oddest Title of the Year along with such other improbably named books as 2009-2014 World Outlook for 60-milligram Containers of Fromage Frais (winner in 2008) and Big Book of Lesbian Horse Stories (winner in 2003). 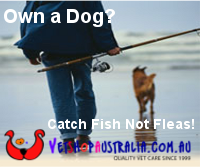 If you have a hard to believe fishing story, photo or video, send it in to holyorbull@fishmax.com.au and our journos will track down the true story!